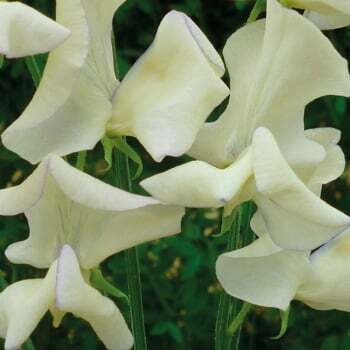 These Mr. Fothergill's Sweet Pea Cream Eggs seeds from Ruddick Garden Gifts have beautiful fragrant, delicately coloured flowers with a picotee edge. These hardy annuals will grow to 6ft in height and are perfect to cover trellis or fencing. Average of 20 seeds per pack.